The darkness and the thunder and the rain. These lines from a poem by Charles Hamilton Sorley, who was killed at the Battle of Loos in 1915, provided the title for the Bath Poetry Café’s annual evening of readings to commemorate the Great War last Tuesday 10th November 2015. As well as well-known poems by Edward Thomas, Rupert Brooke, Wilfred Owen, Laurence Binyon and Rudyard Kipling, they presented works by Guillaume Apollinaire, Anna Achmatova and Giuseppe Ungaretti. The programme on 10th November was accompanied by a presentation of archival photographs which conveyed poignantly how fragile men and horses were in the face of the new industrial weaponry of war, and how terrible it was to send cavalry and infantry to their inevitable massacre as they advanced under shellfire against the guns. The choice of materials also tried to show that the tragedy of the Great War was the same whatever a soldier’s nationality. The next programme, in November 2016, will emphasise this international theme by concentrating in turn on the Battle of the Somme as seen by the Allies; the same battlefront as seen through the eyes of the young soldiers in Erich Maria Remarque’s harrowing novel All Quiet on the Western Front; the war on the Eastern Front; and the battles of the Isonzo in Italy. Wherever possible the readings will be presented by native speakers in the language of the original, alongside English translations read by poets from the Café. Bath Poetry Café has already secured Giulio Passarelli to read Ungaretti’s I fiumi which the poet described as one of the fundamental texts of his collection Il Porto Sepolto. This was written on scraps of miscellaneous paper in the trenches of the Karst and published in Udine in December 1916. Today only a quick note about the periodical "Annuali d'Italianistica" by the University of North Carolina at Chapel Hill. 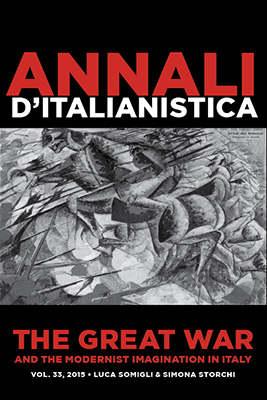 The latest issue with the title "The Great War and the Modernist Imagination in Italy" (Volume 33, 2015) explores the role of intellectuals in the legitimation process of the war, the position of writers and artists, the internal front (namely Futurism and its public, the special case and example of Pirandello's Novelle per un anno and other aspects related to information and propaganda in the war time). Another section is entitled "Gendering the War" and we point out the promising contribution by Katia Pizzi "From Marinetti's L'alcova d'acciaio to Giani Stuparich's Ritorneranno: Gender, Nationalism, Technology and the Italian Great War". The last part of the publication is about the aesthetics and politics of post-war Modernism, the popular figure of Enrico Toti and to the heritage of the Great War seen from the magnifying glass of the communist review "Rinascita". This final chapter fundamentally dwells upon the First World War between history and myth. You can take a look of the full index with direct access to the "Introduction" as PDF at this link. On the 3rd of November 1914 Georg Trakl died in the hospital of Kraków. He was 27. The last three months of his life overlap with his experience of the First World War. This starts at the end of August 1914 with a long train journey from his hometown, Innsbruck, to Galicia, the far eastern boundary of the Empire. In this area of the front he took his place as pharmacist. The baptism of fire was short yet extremely cruel and ferocious: the Battle of Grodek, one of the stages of the Battle of Galicia. After that he was assigned to assist ninety wounded and almost hopeless soldiers in a barn. It is the beginning of the end: these were probably the moments when he started thinking about suicide. He tried to kill himself during the retreat, but was disarmed. 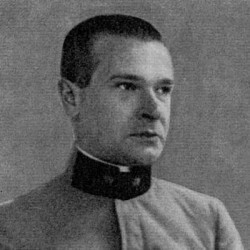 As the Kraków's medical file states, what was not possible during the retreat was possible with cocaine intoxication. It's the second time we host one of the poems he wrote during his short war time. After "Grodek", the poem that inaugurated this section of World War I Bridges, we would like to host today Im Osten. A spiky no-man's-land encloses the town. Grey wolves have forced the gates. Winkt sterbenden Soldaten die Nacht. Seufzen die Geister der Erschlagenen. Dornige Wildnis umgürtet die Stadt. Wilde Wölfe brachen durchs Tor. As we all know the theme of refugees and asylum seekers is nowadays a topical issue. 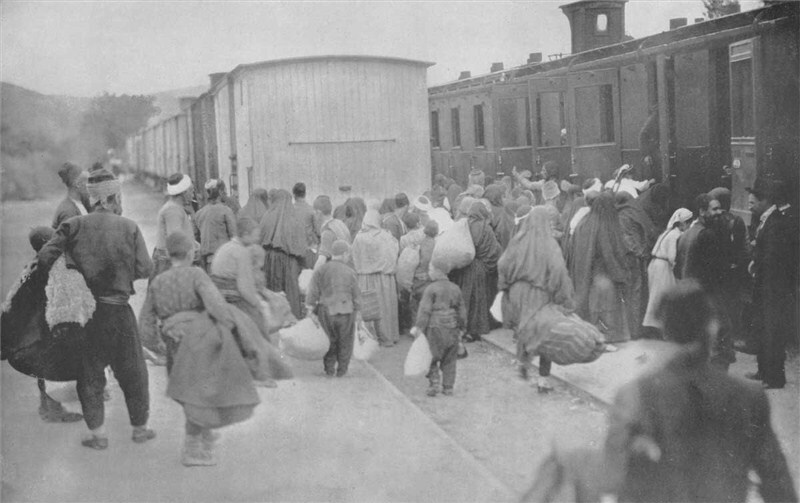 We already dedicated an interview to Italian refugees during the First World War (here you can read that interview). But we need to broaden our horizon and this is why it really makes sense to point out the upcoming event of this week. The War Museum in Rovereto (Trentino, Italy) organizes an interesting international conference with the title of "Refugees/Asylum-Seekers. The displacement of civilian populations in Europe during the First World War. The roots of a contemporary problem". The conference will held in Rovereto (Trento province) from 4 to 6 November 2015 in the Conference Room of the MART - Museum of Modern and Contemporary Art. During the First World War more than 10 million civilians were forced to leave their homes under army pressure and the threat of bombing. They lived in extreme poverty for years with little legal protection, suffering xenophobia, violence and abuse. A hundred years after the conflict, the scenario has barely changed. The masses of refugees besieging the borders in our globalised world demonstrate how close wars are and how refugees face extreme conditions that have endured for a century. These themes will be discussed in an international conference that will take place in Rovereto (province of Trentino, Italy) between 4th and 6th November 2015 (working languages are English and Italian, with simultaneous translation). The conference aims to offer an opportunity to meet historians who have intensively worked on single case studies and share their research results. At the same time, we cannot forget that during the twentieth century till now the civilians have been more and more involved in every kind of conflicts, as is testified by millions of women, children and men gathered in refugee camps all over the world. The Conference will also offer an opportunity to reflect on the conditions of the refugees along the last century. A particular attention will be focused on the figure of the refugee (in the session held on 6th November), who is, on one side, protected by international agreements, on other side, exposed to constant risks. The complete programme is available at this link. Beside of that, a new exhibition will start the same days in Palazzo Alberti Poja, inside the civic museum of Rovereto. 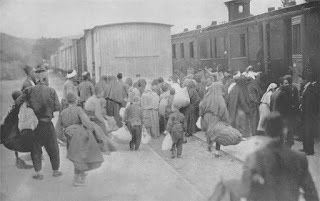 The title is "The Displaced: Refugees, Flüchtlinge, Uprchlíci 1914-1919". Further information (in English) is available here.